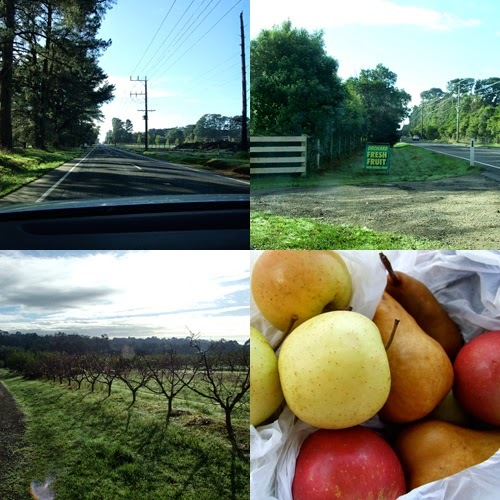 We have just returned from a driving trip to Victoria for the funeral of my husband's grandmother on the Mornington Peninsular. Even though it was a sad occasion it was good to catch up with relatives and meet some for the first time. 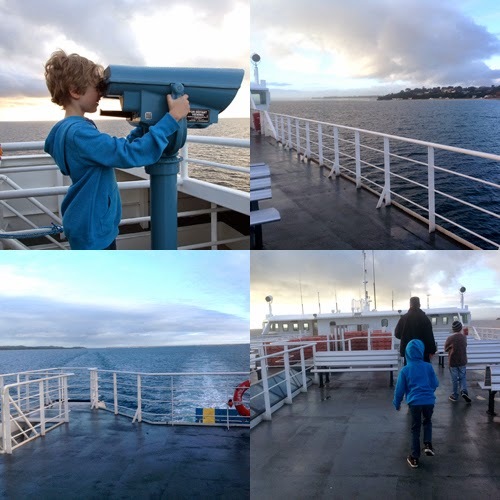 After one days journey we stayed with my brother and sister-in-law at Torquay and took the ferry from Queenscliff to Sorento to drive across to the funeral at Hastings the following day. 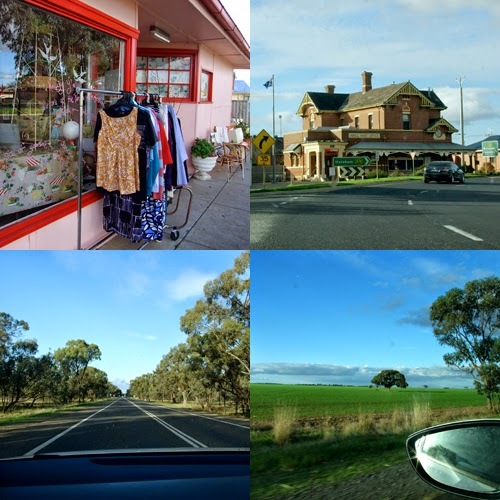 The journey from Adelaide to Torquay through farmland and small rural towns with interesting thrift shops and second hand shops. The best finds were at the second hand store at Keith which was filled with items from the 50's to 70's. 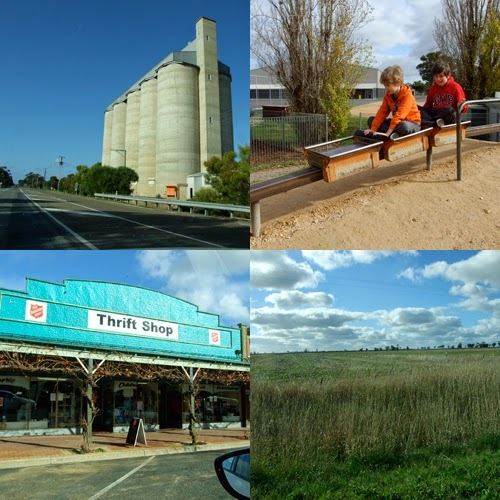 Many towns have beautiful old buildings, windmills and wheat silos. Usually there is at least one hour of solid driving between the towns. 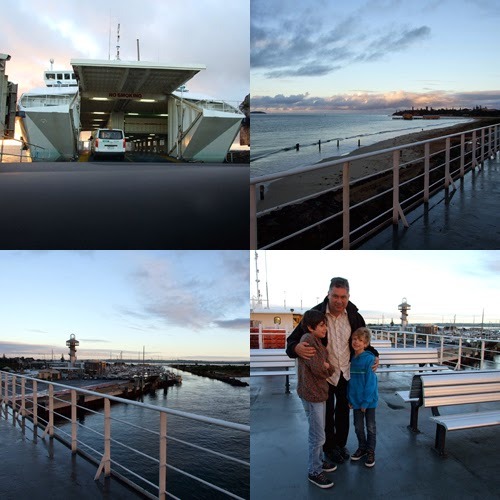 The boys loved the ferry ride to Sorento the next day, it was very chilly but the sea was completely flat with no wind. The morning light was beautiful as it hit the coast. 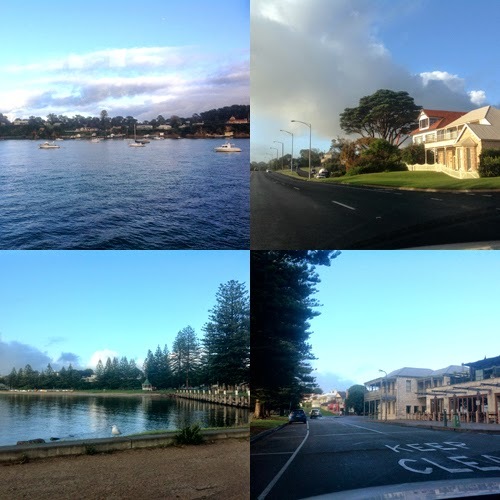 Sorento looked like a beautiful town but there was no time to explore as we drove on to Hastings. Lots of gorgeous farmland and orchards along the way, much greener through here. We stopped at an orchard to buy some fresh apples and pears. After the funeral we drove up to Toorak in Melbourne where my husbands family was staying. 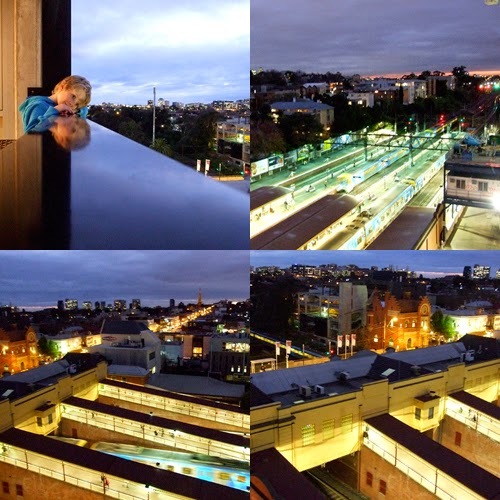 They were on the sixth floor of an apartment building overlooking the beautiful old buildings on Toorak Road and the train station. 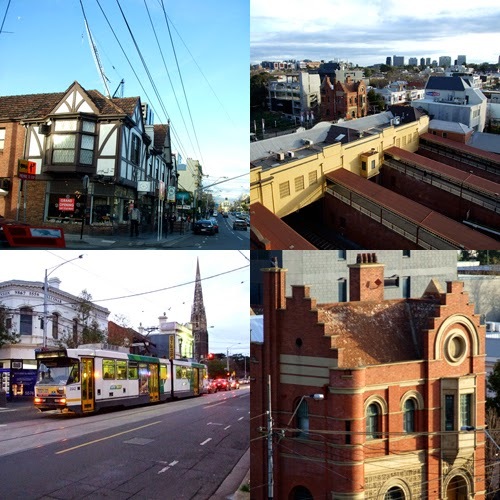 We could also see the trams travelling up and down Toorak Road. 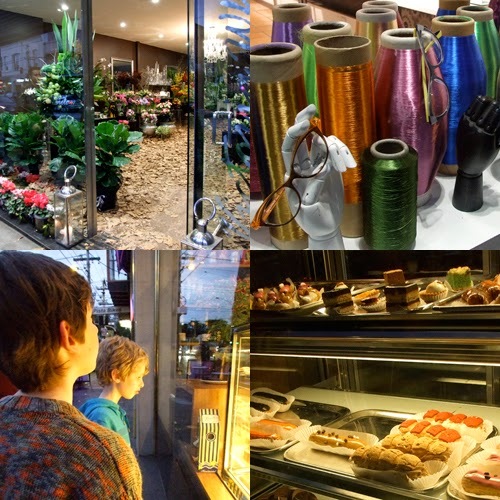 For dinner we had pizza, hot chips and doughnuts, a great combination, but first a walk up Toorak Road and a look at the many interesting shops. A view from the apartment at night. After the dinner was the drive back to Torquay, the city of Melbourne is so beautiful at night.